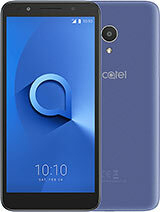 Anonymous, 20 Feb 2013does alcatel needed to be reset every 2 weeks,and if it is not reset it cannot receive any cal... moremy Alcatel OT-918 Mix doesn't need a reset. I never had a reset since I got it. Hey! 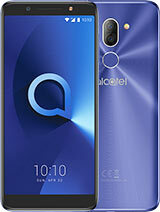 I got Alcatel OT-918 MIX from Suncellular Plan 350 last January, 2013. It's a great phone (my first android phone) even if it's not rooted yet. I installed apps such as Viber, Raging Thunder, Fruit Ninja, Doodle grub (all in all 14 downloaded apps) and I still have 22-24 free internal memomry. Everything's working well, music, camera (the problem is the shutter, just cover the speaker with your fingertips when capturing photos, haha), wifi, sound recorder, etc. Too bad some games were not compatible like temple Run 2, Subway surfers. But it's alright. 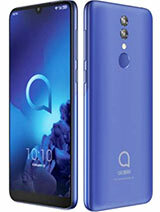 All in all, a super nice phone. I'll rate it 9/10. - Everything's working fine: Camera (enough for me), Music and Sounds, Record, Wifi etc. - I installed many apps already (13 in all) such as doodle grub, fruit ninja, raging thunder, viber, etc. and I still have remaining internal memory (about 22-24 mb). The key is just move apps in your sd card and don't install super big size apps (maximum can just be 20mb). And I can assure you that it's still pretty fast. - I like the fact that I can change the covers. Blue and Black. - Low RAM. I sometimes need to kill viber and facebook to free some memory. The good thing is when I kill it, everything is back to normal speed and fast again. - Temple run 2, subway surfers were not compatible in this phone. Some sites said like osandroid.com that temple run is compatible but I haven't tried because it's too big (23mb). 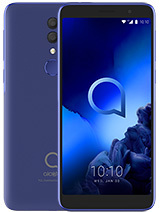 All in all, I can rate this phone 9/10. It's still great. FB s not working. I subscribed to SMART unli surf but it doesnt' allow me to access FB! Also I cant send MMS! Can i download amazone kindle app on this? please help me!! cant donwload apps like wathsapp? I managed to root phone. camera sound was disabled well. Anonymous, 16 Feb 2013my phone will not download any more apps even though there is memory on the phonemine is the same, I have it re-format. Mine got lost before installing a tracker.Someone help.How do get it back. 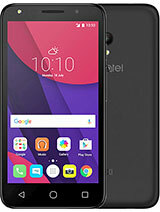 Can i downlooad the kindle app on this handset? I rooted my phone. when i delete the camera sound its appear again. what now? how to unlock one touch from google sgn in?because of over unlockin by pattern? 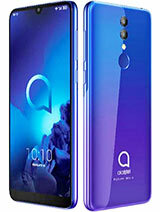 Total of 453 user reviews and opinions for alcatel OT-918.